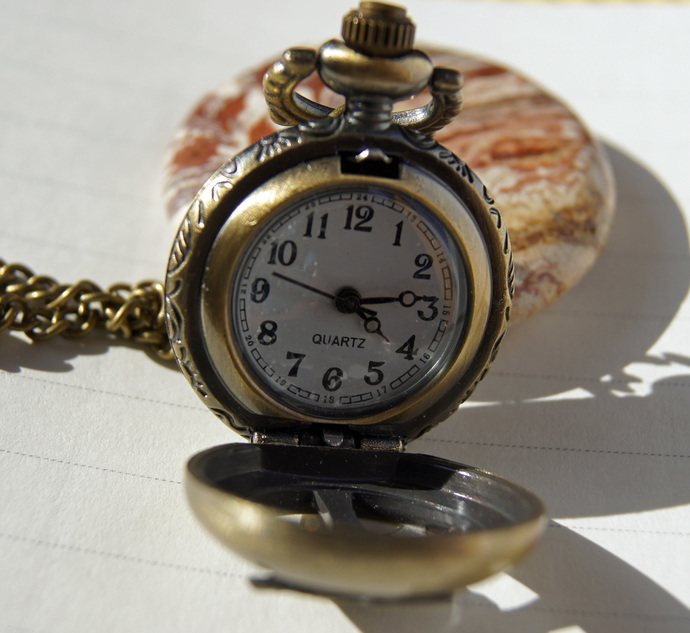 Ladies Vintage Round Watch. 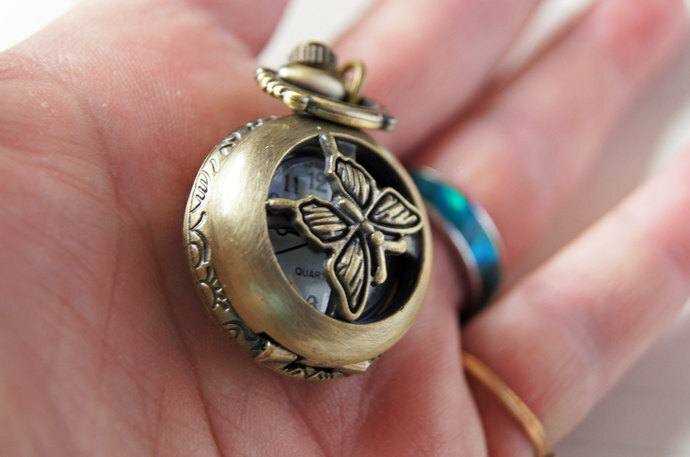 Featuring the Antique Brass Butterfly Fob Watch with Chain. Unisex Gift. 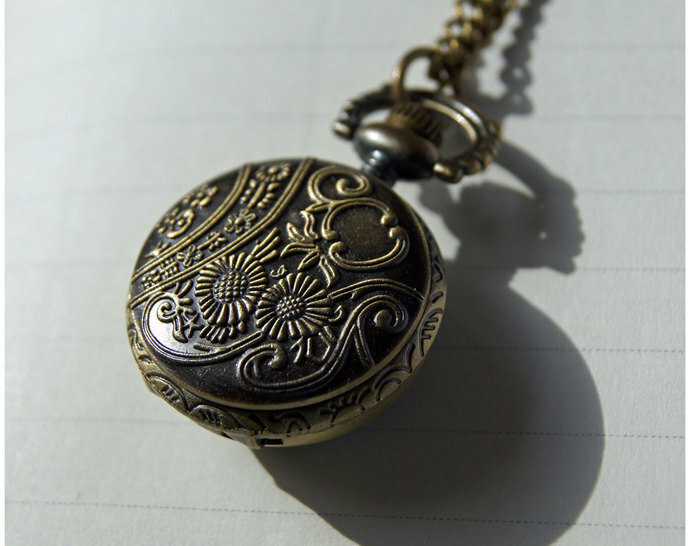 Perfect for Suspended on a 32 inch antique brass chain, which goes over the head and fall in the centre of the chest. Please see thumbnails for actual details the photo's! Perfect for the men or teenage boys too. A lovely accessory for those you love. 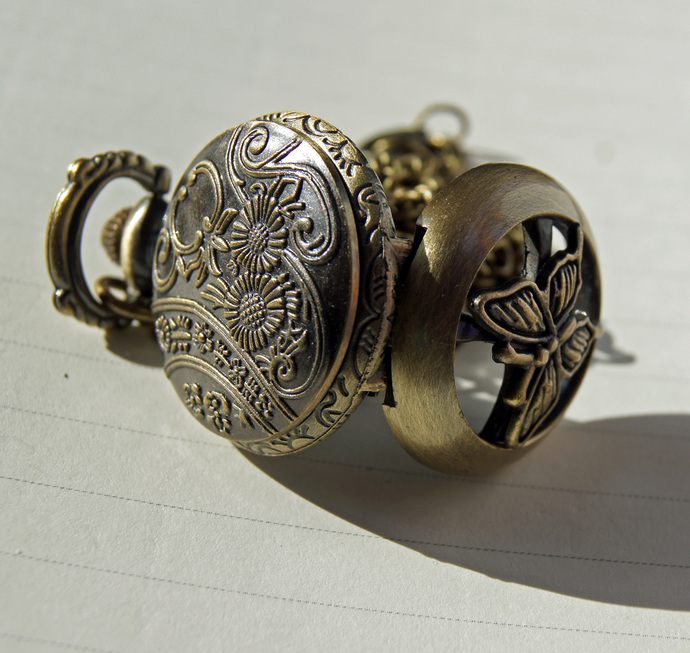 The front of the watch (locket) case has a butterfly, activated by the screw top mechanism which released and opens the watch door. Sporting a quartz movement showing the 12 hours. The back of the watch details scroll work and ornate flowers. 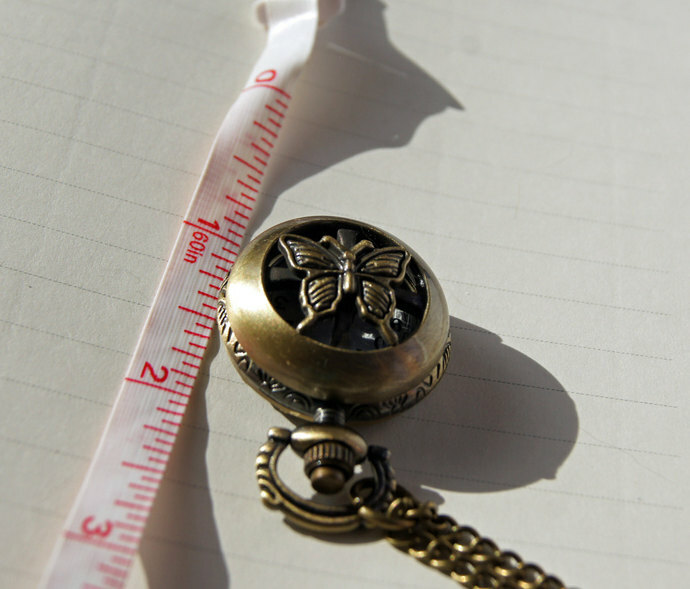 Measurements: the horizontal width is 1.5 inches (4 cm) x 1.0 (2.5 cm) inches inches in diameter. Millimeter : 36x 27mm. Hypo-allergenic and nickle free. The detailing is exquisite especially in the butterfly and back casing. Customer Cassy said "This is as beautiful as I'd hoped. Prompt shipping and Vanessa was lovely to deal with, great communication. Highly recommended". Vintage or Victorian or Steam Punk what ever your style, you are sure to have heads turn in this lovely and delicate jewellery. Beautifully with exquisite detailing solid brass. This is for one listing. This lovely item is suitable for unisex gift giving. Inspiration: Imagine you are strolling in a Victorian garden, smelling roses. In the garden rests a table and white scroll metal chair with a fresh lemon aid!!! For a modern twist I have suede cord that would be lovely with this! If I can be of any help in making your purchases please let me know, thank you.